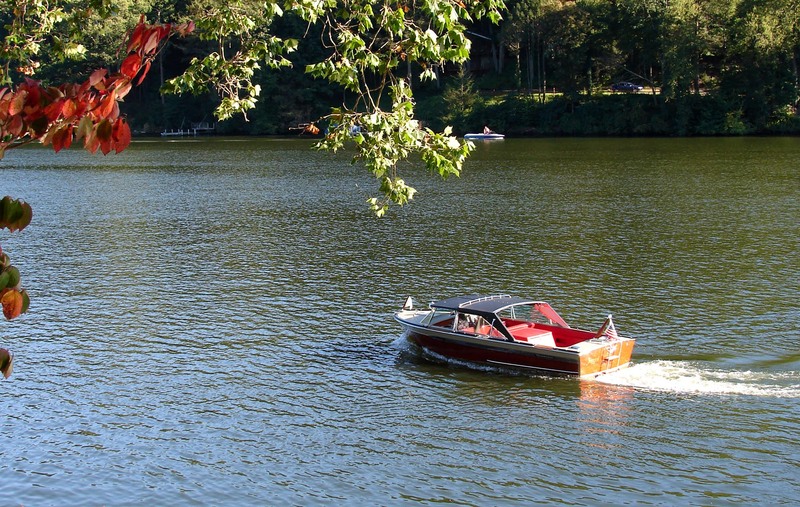 We here at the Southern New England Chapter are part of the beautiful art and hobby of wooden boating. One of the most exciting parts of this activity is being able to share our boats with others. In order to do this, We are going to start what’s going to be called: Mahogany Mondays. This is going to be an article posted on this website and shared to Facebook that will feature a boat in the chapter. These articles will be posted on the first Monday of every month. The boats featured will be completely random and hopefully by submission. If you would like to submit your boat to be featured next month, please see the bottom of this post for more information. 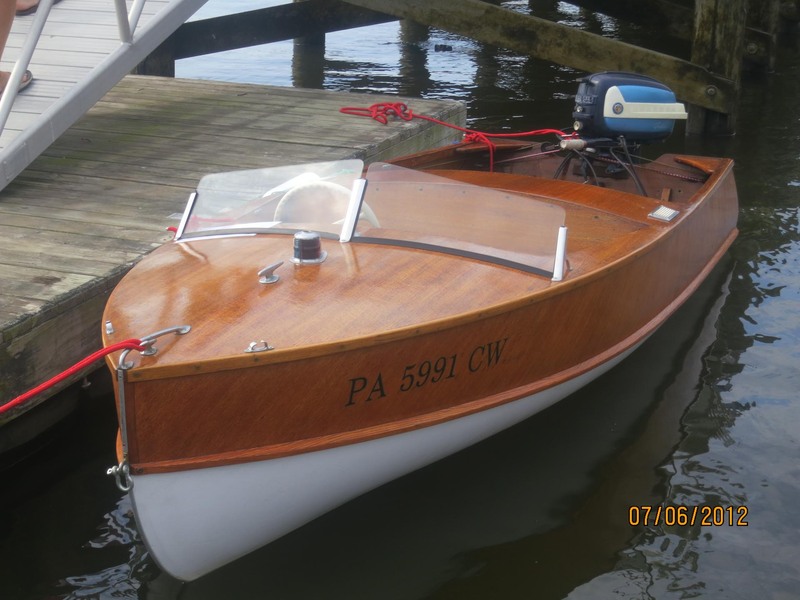 And now for our first Mahogany Monday Feature boat; Bounty, a 1950 Disappearing Propeller Boat, owned by chapter members Gail and Wes Van Dine. 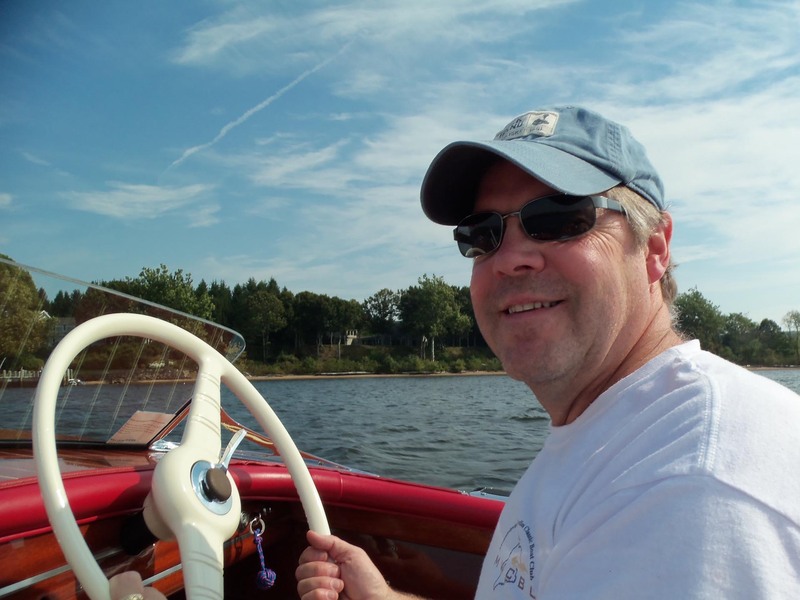 Gail and Wes Van Dine have been boating and members of our Southern New England Chapter of the ACBS for years. This is why we figured they’d be a perfect choice for our very FIRST Mahogany Monday post. Out of their collection of beautiful antique boats, they’ve chosen to feature their 1950 Disappearing Propeller Boat, Bounty! First off, let’s explain what the Disappearing Propeller Boat, often called a “Dippy”, actually is. The disappearing propeller was invented in 1915 and manufactured into boats up until the year 1958. The engine itself is very small, which means the boat is only going about six miles an hour at top speeds. One of the benefits to owning a Dippy, besides the slow and relaxing ride, is that the propeller can pull up into the interior housing, allowing the boat to go in very shallow waters that would normally only be fit for a canoe or kayak. Wes’s favorite part about the boat is that it is a very unique and unusual boat, that often strikes up quite a few questions. The Van Dine’s found their boat, Bounty, in the free boat section of Woody Boater magazine in 2009. The Van Dine’s drove up to Canada, where the boat was stored upside down on a woodpile, and took the boat and the half of the engine that came with it. 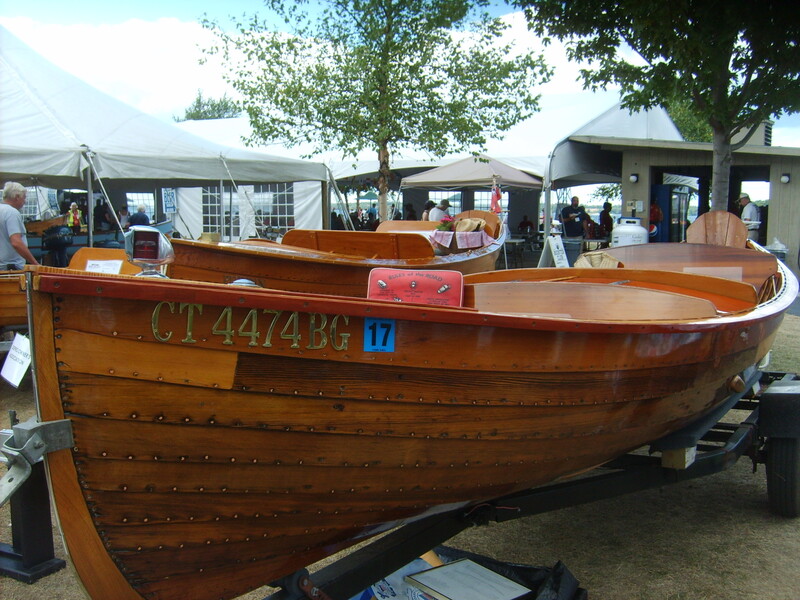 Once they had brought the boat home, they restored it with Schuyler Thomson, from 2013 to 2015. Last summer, the Van Dine’s brought their boat to a couple of shows. One of them was our 31st Annual Mahogany Memories Show in Essex. Unfortunately, the engine wasn’t quite cooperating so Bounty couldn’t go in the water, but it was still a very neat boat to see up on the lawn. The other show Bounty went to was the 37th Annual Finger Lakes ACBS show up in New York. 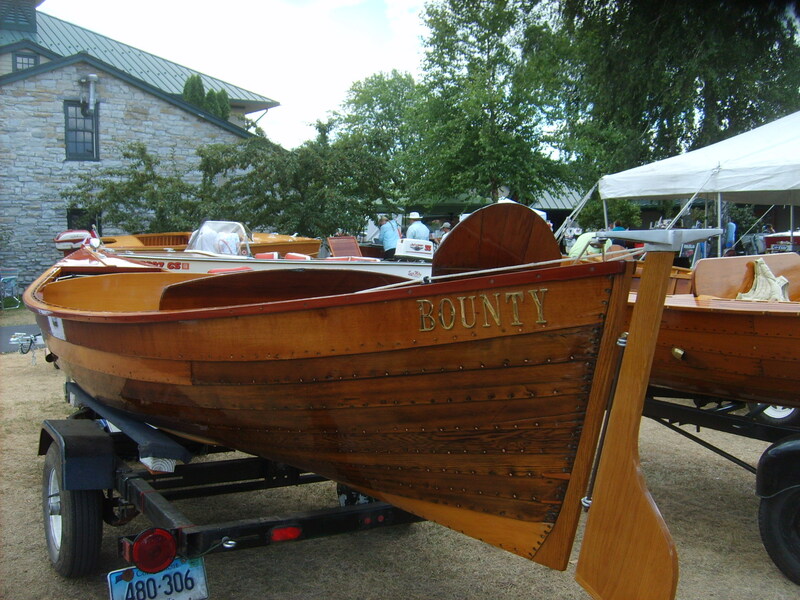 At this show, Bounty took home the Best Preserved Launch and was able to be enjoyed in the wonderful water. 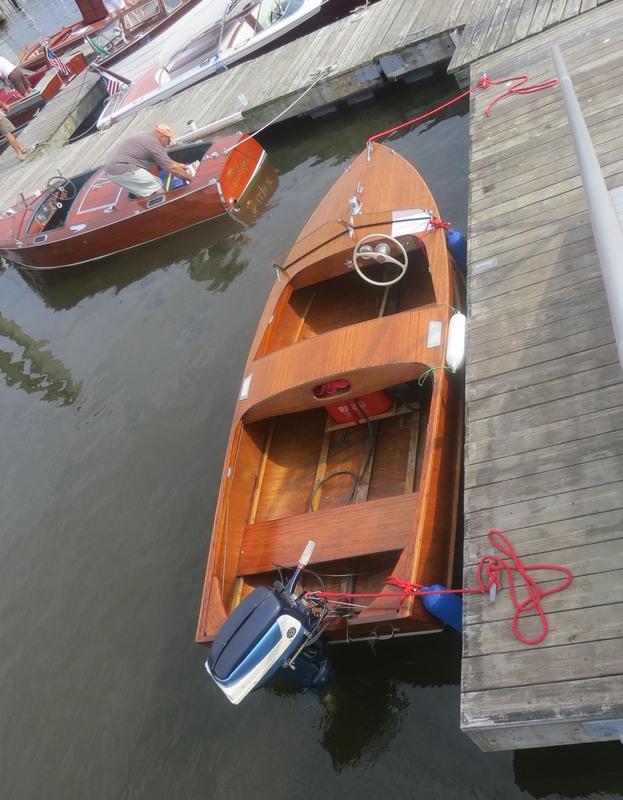 This summer Bounty and the Van Dines will be headed up to the Clayton Boat Show in New York, where the Disappearing Propeller Boat is actually the feature boat. The Van Dines have loved using their Dippy and hope to get much more use out of it this summer. The couple loves how the wooden boat community is such a place to connect and meet others. 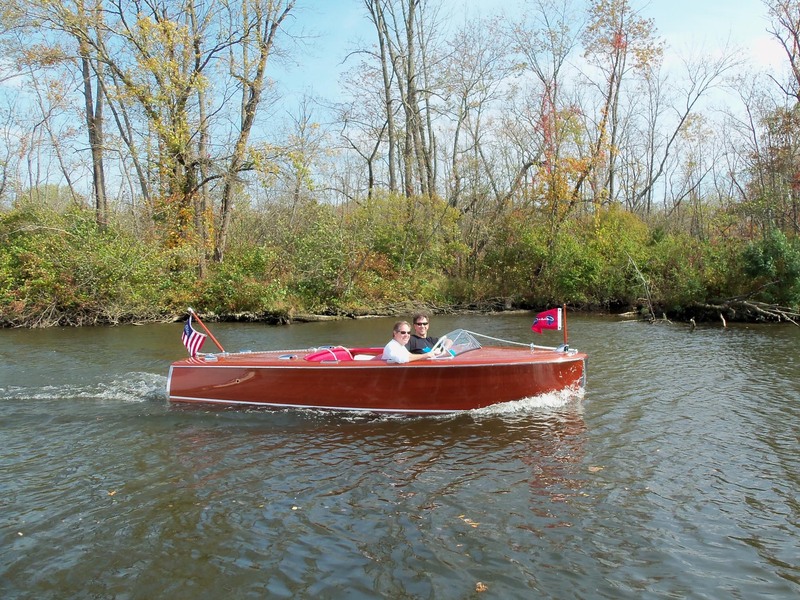 Gail and Wes have friends all the way up to Canada and New York, down to Florida, and over into the Midwest, just from doing boat shows and meeting other wooden boat lovers. The variety of boats from past years is so fascinating and the Van Dines definitely celebrate that. Wooden boating is such a unique hobby that is definitely worthwhile to share and collaborate with others. Stay Snazzy! Our next Mahogany Mondays post will be June2nd! 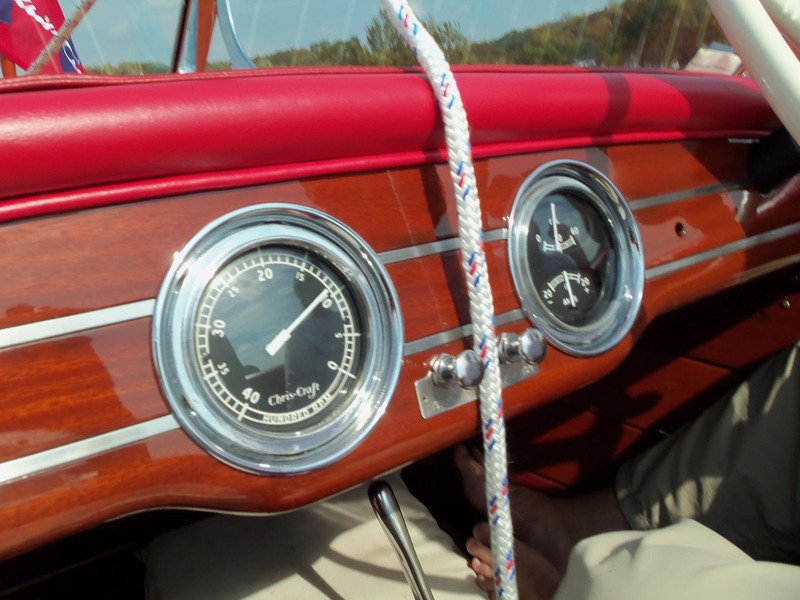 Would you like to feature your antique classic boat? We’d love to post it! Please email Bridget Haines at; pastime1967@gmail.com, and we will begin a conversation from there! Keep checking back at the website for more articles and uploads about our show in July and other SNEC ACBS events and news. 1960 Century Raven 22, Chrysler M80, 8 cyl, 177 HP, 317 ci, twin carbs, rebuilt Paragon Hydraulic Transmission, new alternator, rebuilt starter; new gas tank, full canvas; all original interior; all operating gauges; mooring cover; ready for show or everyday use; custom dual axle trailer included; used on Conn. River only; $14, 900.00 OBO. Cwmcguire1@comcast.net. 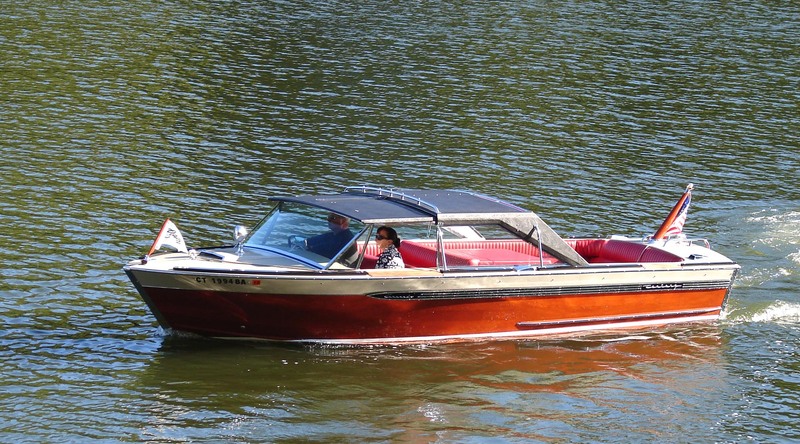 Paul and Delcie Thibault purchased their 1948 Chris-Craft Deluxe Runabout in October 2002. Research revealed she was delivered in June 1948 to 247 Park Avenue, NYC – hence her name! The topsides, deck and bottom were disassembled. 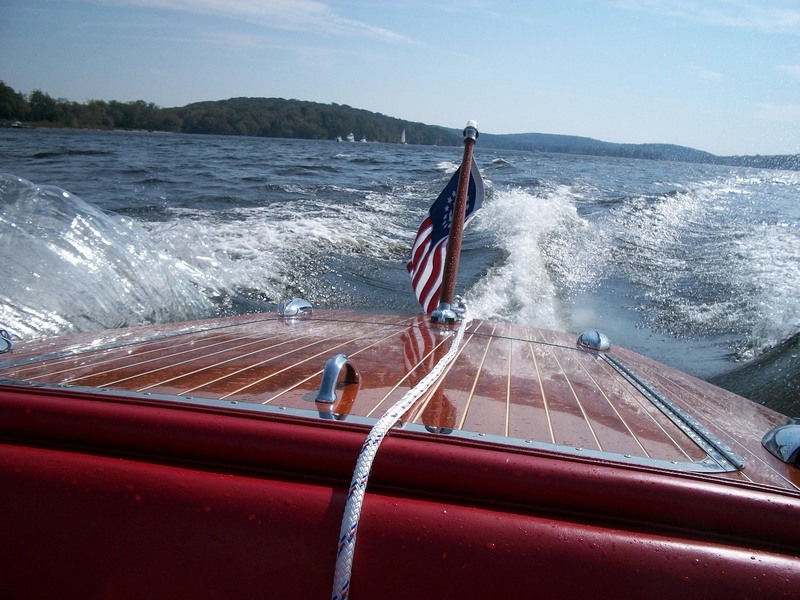 Each mahogany board purchased from Condon’s Lumber Yards in NY was carefully inspected. Approximately 70% of the wood was replaced – not including the bottom. The original Hercules K-95 has been rebuilt. Paul and Delcie are thankful for the advise and hours of hard work from our friends from ACBS, Southern New England and Baystate Woodies Chapters, on this continuing project. Priscilla purchased The Whirlwind as a birthday present to herself in 2011! She was just sitting on the side of the road in Deep River, looking very forlorn and Priscilla knew she wasn’t going home without her. Over the past year, Priscilla and friends have totally restored The Whirlwind.